I am so grateful to be able to travel with my family, collect memories, experience moments with them, share laughter, overcome hardships. It fills and lifts me up. I am so happy that Lior, is sharing her thoughts in this blog. May we have many more travels and stories to share. 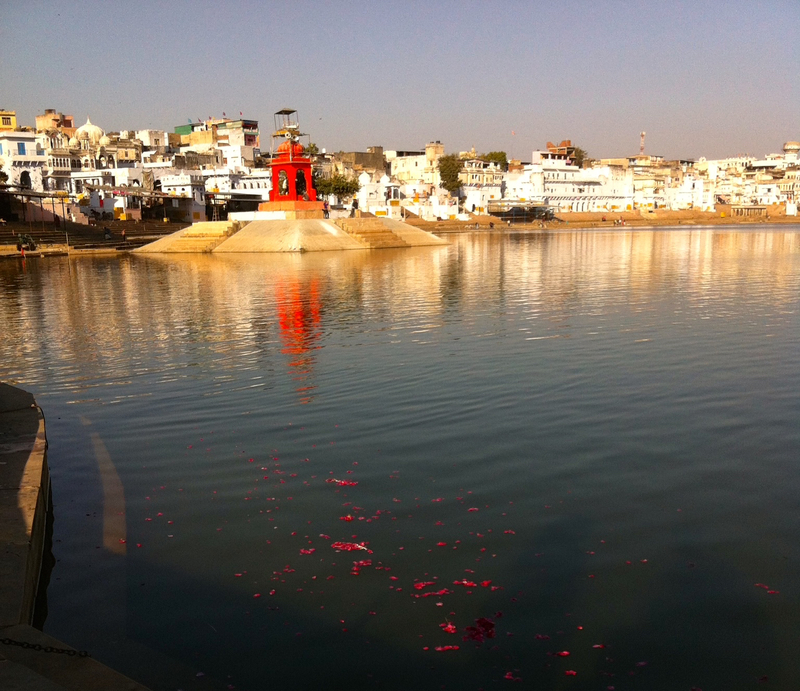 The town of Pushkar, is situated around Lake Pushkar, one of the holiest pilgrim sites for Hindus. The lake is surrounded by 52 ghats, and around it are many temples (some say over 400 temples, divided among different sects: Hindus, Sikhs, Jains, etc’). 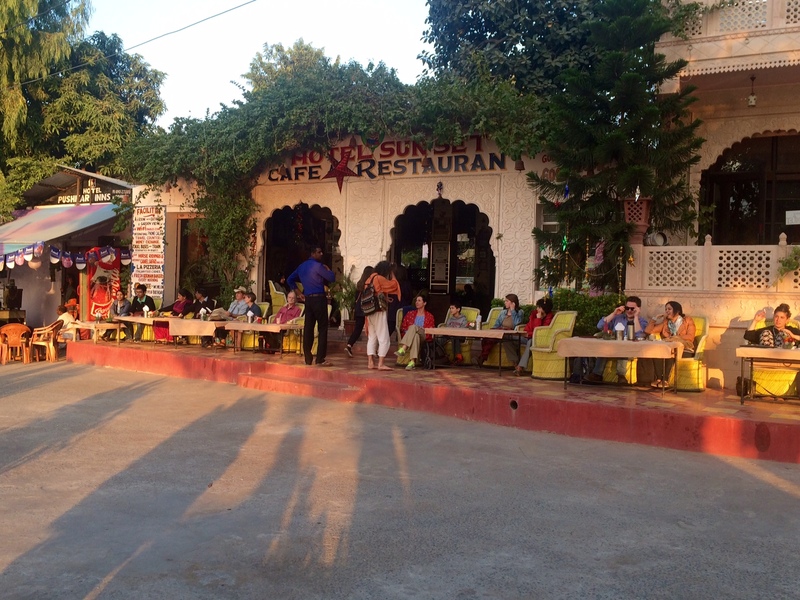 Pushkar is also a mecca to the many tourists who wanna feel spiritual, rest (and eat) at one of the many roof-top guest houses, play or listen to music, and shop shop shop. 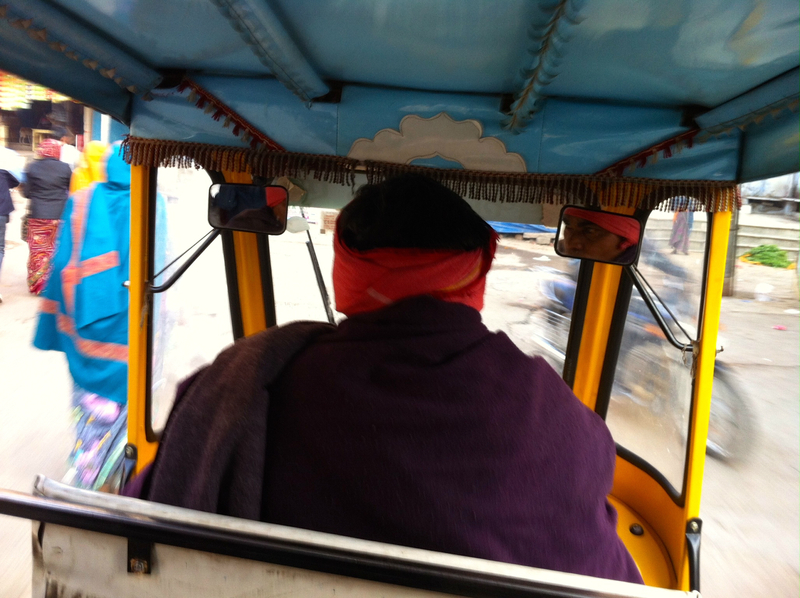 After leaving Shekhawati, it was a bit hard for me to get used to the pushy, noisy, nosy, people, who want to always sell or market something, be it food, tours, or even a spiritual puja (which we finally did, read on). 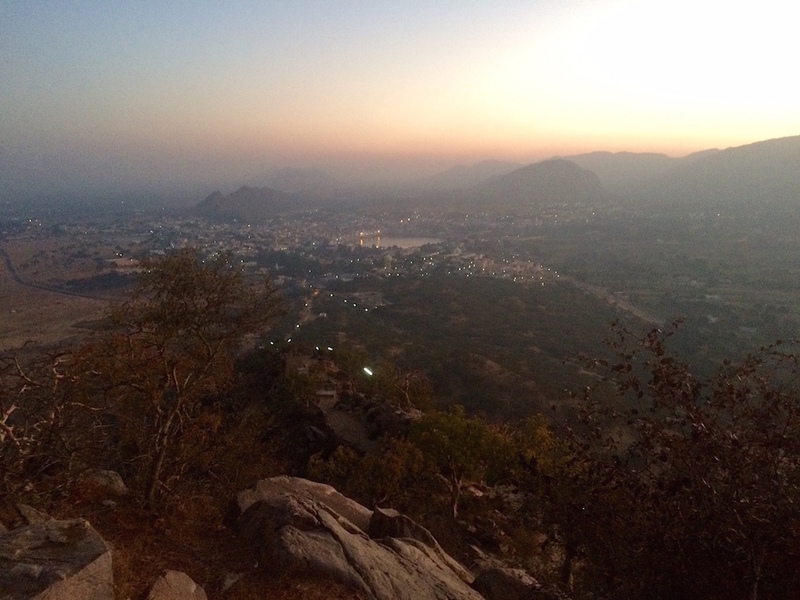 *Getting up at 5:30 am to climb up the steep hill to Savitri Temple, to see the beautiful sunrise over the city of Pushkar. Indeed, the steps were decent at first, but then they started to be rocky, twisted and steep. Nevertheless, an hour later our award was well worth it. 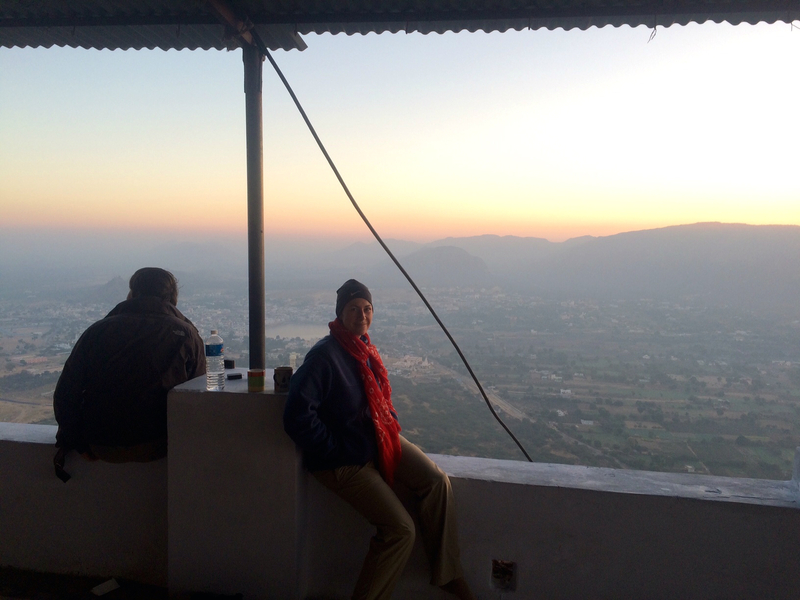 We got amazing views of the sunrise, had warm, sweet chai at the top, saw our first monkeys in India, and had a nice workout. Oh, and just so you know, Savitri was the first wife of Lord Brahma. *Walking barefoot around the lake, climbing down and up the ghats, sitting from afar and watching groups of pilgrims bathing in the holy water. *Sitting in Sunset Cafe, sipping chai, watching the sunset, and watching and listening to the music players of the drums at Jaipur Ghat, on the eastern side of Lake Pushkar. Click photo to hear some of it. View from Sunset Cafe. Drums and jugglers start their act. click photo for added sounds. *Sitting at the Tibetan rooftop, eating momos and yak cheese. Lior: If you find this place, make sure to taste their chocolate momos! *Riding a took-took with my son, and seeing happiness and excitement on his face. *Performing a family Puja ceremony, hearing the Brahmin priest bless us in hindi, and feeling blessed either way. Puja is a multi-sensory experience. Chanting sacred words that we didnt understand, tasted blessed food, offered rose petals to the gods, got our bindi and red string. *Staying at the Orchard, our lush, green sanctuary, with peacocks dotting the gardens, and our, ahem, maharaja tents, where we slept. 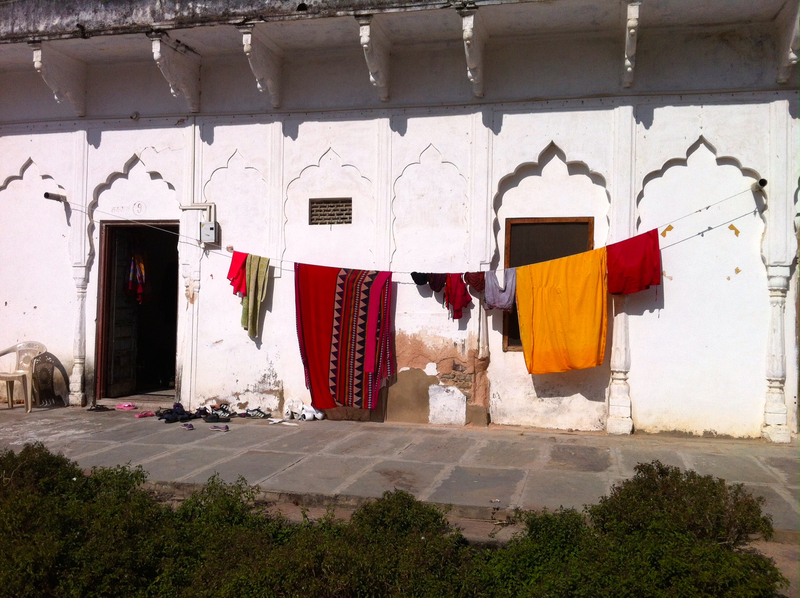 Lior: It’s a little weird that such a small place like Pushkar can feel so big once you are on the inside. If you take the main road, which is actually a bazaar, you will have to walk among cows, their poop, market vendors, carts, and potholes.If you go down to the ghats, you have the option of walking barefoot around the lake, and seeing several bathing ceremonies. Our first night there was Christmas, and we ate at a restaurant right on the lake, opposite the sunset. Music from street performers played in the background, and we were seated in a row to face the sun. It really seems perfect, but the only issue (or maybe not in your case) was that they catered to tourists, so that the menu was mostly comprised of Italian food. 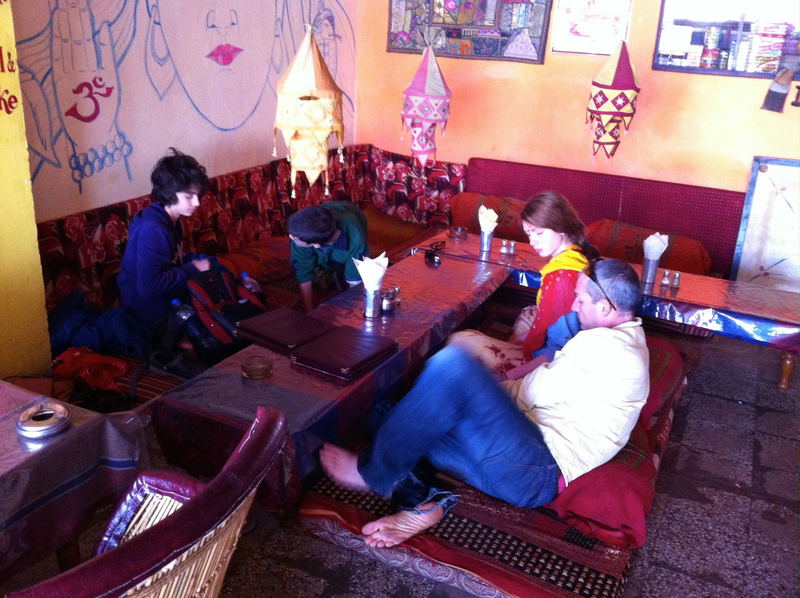 If you want better food, go into the bazaar, in one of the cheap rooftop restaurants. If you want to shop, do so here! Because there are a good amount of travelers in the area, and a big bazaar, there is competition between the shops, and it is easy to bargain with them. 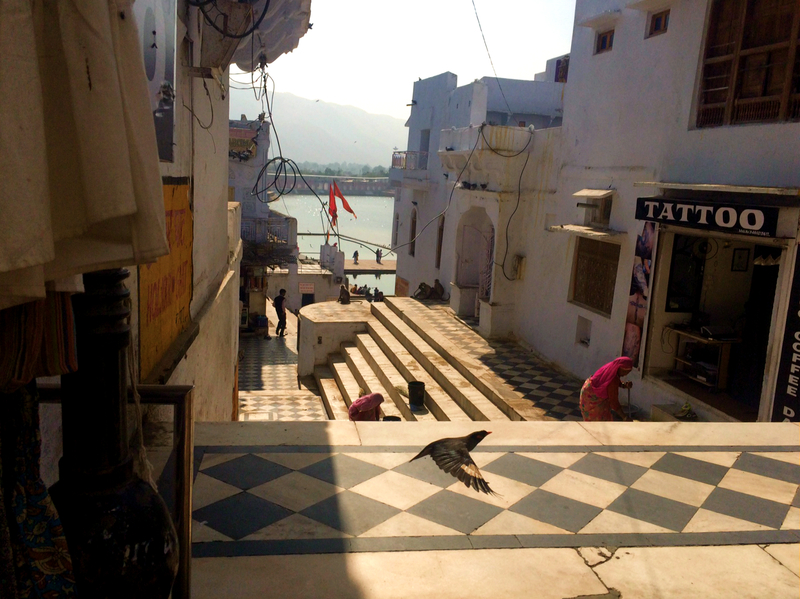 During your stay here, make sure to go to the ghat for a religious ceremony. Our family ceremony, led by a Brahman was very beautiful, we scattered rose petals in the water, and got a red dot on our foreheads. Many people may tell you to go the Brahma Temple, but there are several other beautiful temples. 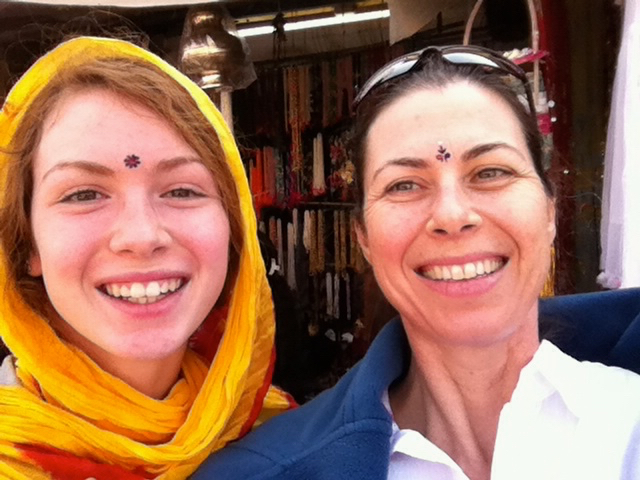 Try going to the quiet Jain temple, or the big Sikh temple~ both less touristic than the Brahman one.